It all started at a Parrot Head Party with margaritas, good friends and some guitars and now the rest is history! B-Man & mi-Shell live the island life in Key West, Florida. Many know may know them as the band B-Man & The MizzBeeHavens but now live in what they call “The Gateway to the Caribbean”. They are a husband and wife music duo writing, producing and sharing their music nationally and internationally. The Florida Weekly stated, “Their chemistry on and off stage looks perfectly natural, just like a proper rock n’ roll couple should, like Sonny and Cher or Johnny and June Cash. Over the years Brian “B-Man” & Michelle “mi-Shell” played around the country, from the DC/Maryland/Virginia area, Charleston, South Carolina, Atlanta, Memphis, Las Vegas and many more along the way. Being “Parrotheads” and Jimmy Buffett fans, they had the honor and opportunity to be the opening band at the Jimmy Buffett Tailgate Party in October 2015 when Jimmy made his concert stop in Albuquerque, New Mexico. Over the years, B-Man & mi-Shell have headlined such Trop Rock venues as Phins to the West, Six String Music Festival, numerous Pit Stop Parties on their way to the annual Meeting of the Minds and honored to be include with Jerry Diaz’s Late Night music event held at the Casa Marina. B-Man & mi-Shell are lovers of many musical styles from many eras and genres and their songwriting reflects these varied influences. Their current CD “Key West Bound” actually lived up to their dream of living that Key West life and sharing their music throughout the Keys. Their song “Sail Away” hit the Trop Rock Charts at Number 1 in April 2016, only a few months after being released and their song “Key West Bound” was adopted by the “Conchfish Nation” as their anthem song when they all head to Key West for their annual reunion. 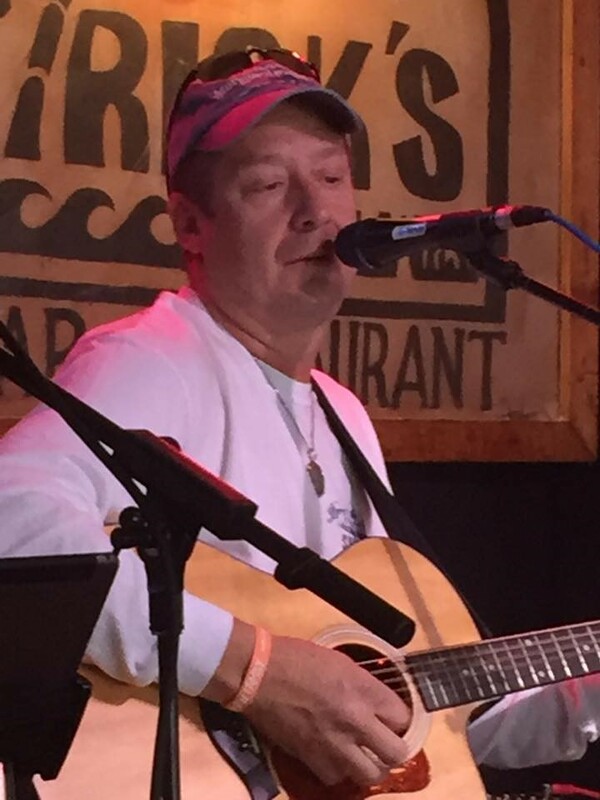 B-Man, Brian Fields, originally from Marion, Ohio, has been playing acoustic guitar since he was 13 years old. Though mostly self-taught, Brian (B-Man) has had blue grass influence during the early years. B-Man also plays the mandolin and has played the banjo in previous years with different groups. While serving in the Air Force, he earned the nickname “B-Man” and the name has stuck over time. After serving 20 years in the Air Force and serving around the world, Brian ended up in the DC area and began finding his roots again in music. Brian started a band called the “Garage Boys” in Waldorf, Maryland and eventually started playing in the Jim Seymour Band with gigs throughout the DC, Maryland and Virginia area. During the same time frame, Brian started B-Man Productions in the DC area and managed a few bands finding them locations to play throughout the DC, Maryland and Virginia. In 2005, Brian relocated to Albuquerque with his wife Michelle (who is also an Air Force Retiree) and started B-Sting Ventures, LLC (Emergency Management company) and played in a band called “Jus4Fun”. Following the Jus4Fun Band, Brian started the music group “B-Man and the MizzBeeHavens” where they played throughout the Albuquerque area and across the US and making many stops here in the Florida Keys. In July 2016, Brian & Michelle sold their home, loaded up the RV with their four cats and made the trip to Key West where they now call home and go by the Performing Duo “B-Man & mi-Shell”.